After years of separation, we're making it easier for you the reader to access all of your Ithaca Underground information in one place. This FREE! zine/blog continues to evolve and will now reside on the landing page of IthacaUnderground.com. Check it out and sign up for our eNewsletter for show notifications and more. Live cuts from Tuesday's Hip-hop show at Just Be Cause! 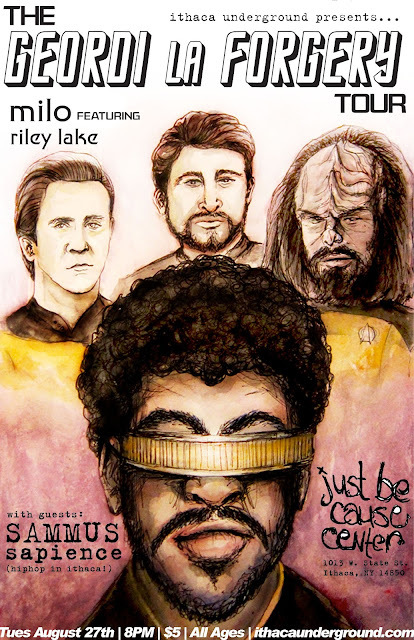 Tues, 8/27: Hip-hop at Just Be Cause with Milo, Sammus and more! Head on down to Just Be Cause at 1013 W. State St. in Ithaca tonight, Tuesday, August 27th for a night of creative and dynamic hip-hop and Ithaca Underground's final summer show. Milo (on Hellfire Club, based out of Wisconsin these days) headlines, wielding his latest, a double EP “Things That Happened That Day / Things That Happened That Night”, a beautiful work of progressive hip-hop embracing obtuse, first-person lyrics (see poetry) and spacious, atmospheric beats. A slight departure, but natural progression from his quick-lipped “Milo takes Baths” work from 2012. Milo’s catalogue is personal, academic, glitchy, atmospheric, melodic and full of soul, jazz, indie, and DIY ethics. An answer for anyone who has ever questioned 21st century hip-hop. TTHTD/TTHTN producer, Riley Lake will bring his own solo, beat-instrumental tunes to the table. Check out his SounCloud here. Sammus continues to rise, hitting Bandcamp's #1 spot for hip-hop back in July when it initially dropped. If you live in Ithaca and haven't checked her out... do yourself a favor an do so immediately. Sapience is Ithaca's latest hip-hop edition, spitting fresh, socially conscious rhymes. 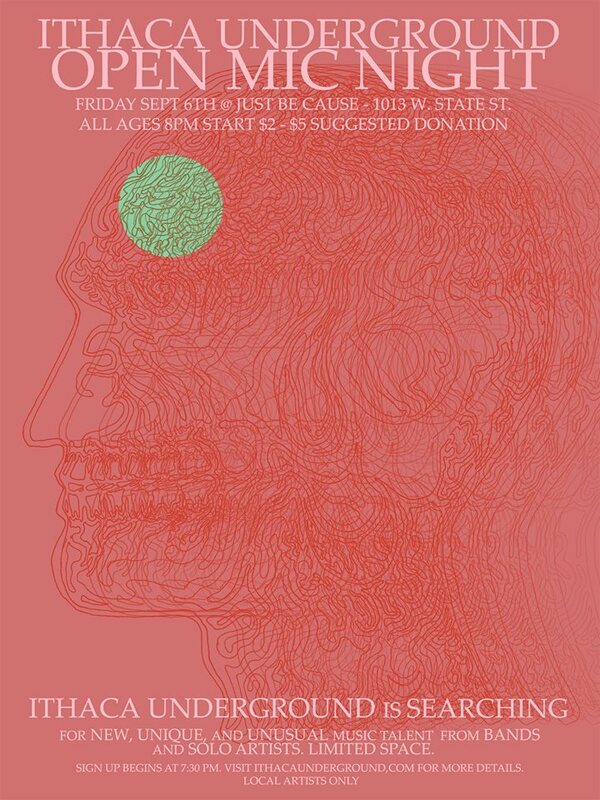 He'll be joined with a live band with Chris Ploss on the 16s and guitar, Gabe Millman on drums, Ben Mann on Bass, and Aaron Turkle on keys. Thanks to everyone who came out to Bubba's birthday show on Friday! !